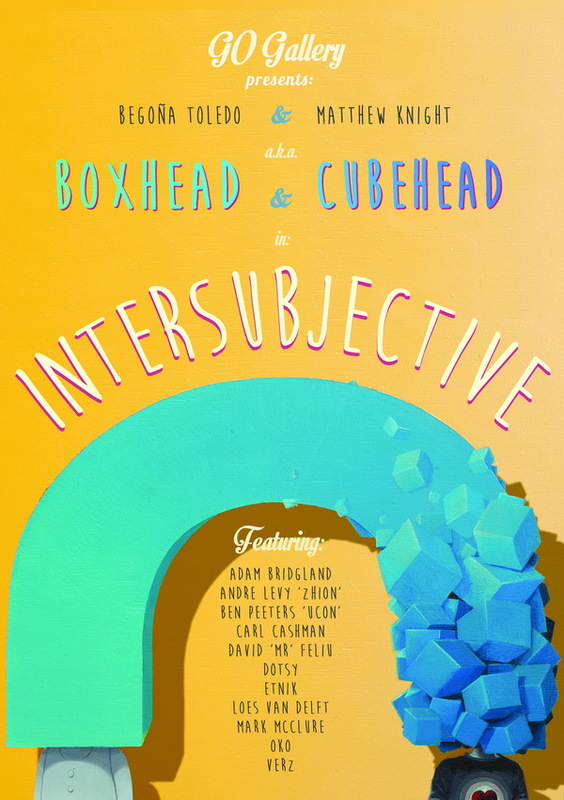 On Saturday July 25, we open the exhibiton Intersubjective, by Matthew Knight & Boxhead as the 2 curators. Matthew Knight, aka Cubehead just finished this beautiful sculpture, called Intersubjective. It’s made from resin, wood, sprypaint and acrylics. Edition = 25, every piece is different. “Intersubjective” is a joint show by Begoña Toledo a.k.a Boxhead and Matthew Knight together with a long array of guest artists. Inspired by this year’s Pride theme: “Share”, the vibrantly colourful artworks in this exhibition have been collectively created with a universal consciousness perspective, focused on the concept of the collective mind and the importance of sharing in shaping our ideas and relations. The line up of artists that Begoña and Matthew will be collaborating are Carl Cashman (UK), Andre Levy (BR), Mark McClure (UK), Etnik (IT), Oko (HR), Dotsy (NL), Loes Van Delft (NL), Adam Bridgeland (UK), David Feliu (ES), Verz (NI), Trev Harvey (UK) and Brian Coldrick (IR). Posted in GeneralTagged Amsterdam Gay Pride, go gallery amsterdam, Sunil Padwal Leave a Comment on Coming soon: Shifting Frames.